Knowledge about the practice of upper cervical care has been growing and it is becoming more accepted as a viable alternative to other treatment methods. However, there still are many misconceptions and questions about upper cervical care that we would like to clarify. If you have a question or concern that is not addressed on this page, please do not hesitate to Contact Us for more information. How much does upper cervical care cost and is it covered by insurance? Cost can vary depending on several factors, but most patients find that upper cervical care costs much less than traditional medical treatment. You can always speak to your doctor in person to find out if UCC is an option for you and your family. As for insurance, your plan may offer some coverage for upper cervical care. Our billing staff will verify your benefits and let you know your options. We also offer affordable care plans to help minimize your cost. Are upper cervical corrections painful? Our highly trained doctors utilize advanced technology and instrumentation to determine the need to make gentle corrections to the upper cervical spine. You will not experience uncomfortable jerking, popping or twisting of the neck as many people tend to relate to general chiropractic manipulations. How is UCC different from other treatment methods? Upper cervical care is considered a type of “alternative care” and is very different from traditional medical treatment, general chiropractic or other therapies. Traditional medical practitioners rely on pharmaceutical drugs and surgery to treat symptoms. General chiropractic and other physical therapies typically focus on temporarily treating symptoms. UCC, on the other hand, seeks to correct the source of a health condition, therefore promoting lasting results. How many visits will I need to stabilize my correction? Again, this can depend on a variety of factors. Our goal is to make a very precise and accurate correction that lasts. Stability is key to healing. Multiple visits are not required for multiple corrections, but rather to check that the original correction is holding position. First, a doctor will conduct an initial consultation to discuss your health history and find out about your symptoms, goals and concerns. Then, an upper cervical evaluation will be done to carefully assess your spinal structure and nervous system function. The upper part of the neck will be scanned, and if this exam indicates a possible problem, three-dimensional X-rays will be taken and precise measurements will be made to pinpoint the exact misalignment. This will conclude your first visit. If your case is accepted, you will come back for a second visit during which time the doctor will review your tests and X-rays. If necessary, you will receive your first upper cervical correction. A third visit will be scheduled to make sure the correction is holding and a customized care plan designed specifically for your condition will be given. Proper alignment of the upper cervical spine is very complex. Because of their free-moving nature, the atlas and axis vertebrae can misalign in a combination of 274 different directions. A misalignment as small as ¼ of a degree can mean the difference between sickness and health. The X-ray equipment used for upper cervical evaluations is highly specialized and laser aligned to achieve the most comprehensive imaging possible. This precise X-ray imaging is essential for properly determining how to make a correction that is tailor-made for you. Is upper cervical care safe for children and elderly patients? Yes, UCC is a safe and effective option for anyone looking for a natural solution for a variety of health conditions. We use very careful and gentle corrections to help patients of every age. Could my condition still be related to an upper cervical misalignment even if I don’t feel any pain in my neck? Even minor misalignments can create imbalance in the body, you may not feel noticeable pain in your neck. An evaluation by an upper cervical doctor will determine whether upper cervical care can help your condition. How can upper cervical care contribute to preventing future problems? Even if you are currently feeling healthy, UCC still can be useful in maintaining your health and preventing future problems. Regular checkups can help keep you well. 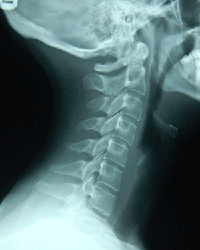 What are the possible risks or side effects of upper cervical corrections? Clearly, the upper cervical spine is a very, very vital part of your body. For this reason, it is extremely important that your doctor be qualified to administer your correction. Our thorough history, exam and X-rays not only allow us to determine that you are in need of UCC, but also whether you can receive UCC.